The government decided Tuesday it will allow casino advertisements to be displayed only in international arrival areas of air and sea terminals that are used by visitors from abroad. The rule is part of an enforcement order for the law enacted last year that legalized integrated resorts featuring casinos as the government aims to attract more international visitors and stimulate regional economies. Casino ads will be banned in all other areas outside the vicinity of each integrated resort. The restriction reflects the government’s aim to reduce Japanese citizens’ exposure to such ads in an effort to ward off gambling addiction. Rules set under the enforcement order, which was approved at Tuesday’s Cabinet meeting, will take effect one after another starting Monday. The standards adopted at the meeting for casino resorts due to be built by the mid-2020s also require operators to host hotels far larger than those that currently exist in the country, along with conference rooms and exhibition halls. With hotels required to secure more than 100,000 square meters for guest rooms, local governments aiming to bring such resorts to their municipalities will need to cooperate with business operators capable of making such massive investments. 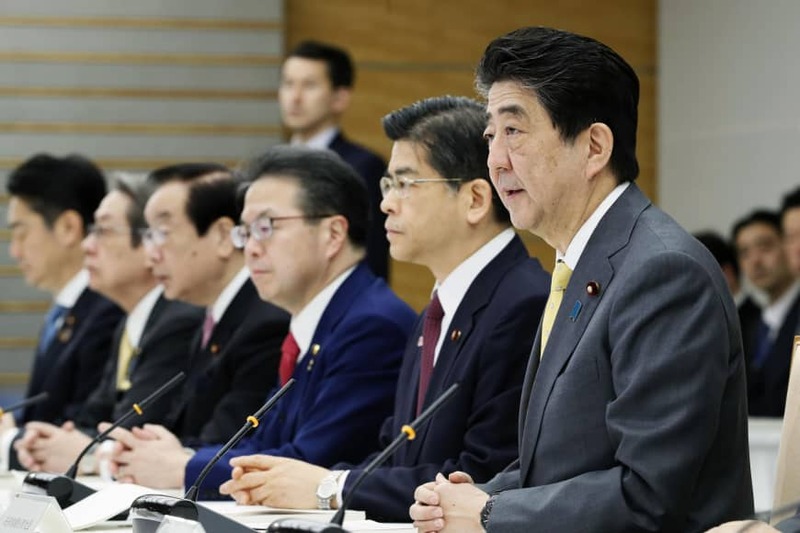 Japan will aim for casino resorts of “unprecedentedly large scale and high quality,” Prime Minister Shinzo Abe told a government meeting on the issue prior to the Cabinet approval. The requirement for hotels was based on the size of overseas casino resorts built over the past decade. With the average-sized Japanese guest room requiring 50 square meters, such a hotel would necessitate 2,000 rooms, exceeding the average of 1,500 at three major luxury Tokyo hotels. As for the sizes of conference rooms and exhibition sites, operators will need to fulfill one of three combined numerical criteria, which include a convention center that accommodates 3,000 people with a 60,000-square-meter exhibition space. Tokyo Big Sight currently has the country’s largest exhibition floor space of 95,000 square meters, while the nation’s largest conference halls, the Tokyo International Forum in Tokyo and the Pacifico Yokohama ,hold around 5,000 people. The maximum floor space for casinos should be 3 percent of the integrated resort’s total space, according to the regulations. 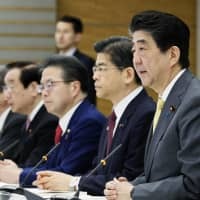 A recent Kyodo News survey, covering all of Japan’s 47 prefectures and 20 major cities that are eligible to host the newly legalized resorts, found that only three areas — the prefectures of Osaka, Wakayama and Nagasaki — plan to apply for the government’s screening of host sites. With the adoption of the enforcement order, local governments wanting to host casino resorts and businesses eager to operate such facilities are expected to speed up related preparations. The central government will set up a committee for supervising casinos. The tourism minister will lay out a basic policy for resort development, possibly this summer. After that, local governments will select resort operators and work with them to jointly devise and submit development plans.